It’s pretty incredible when you find a pet insurance company that not only wants to help pet owners pay for veterinary care, but that also started a non-profit specifically for homeless animals need of homes and care too. That’s exactly what you get with Healthy Paws Insurance and Foundation; they are dedicated to providing care to all animals, regardless of having a home or not. It all started when cofounders Steve Siadek and Rob Jackson met at a local shelter and used their entrepreneurial know-how to build a company that provides financial support to current pet owners, as well as much needed care to animals currently in shelters. 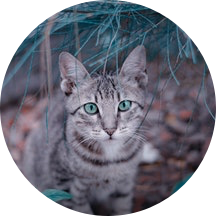 They developed the Every Quote Gives Hope™ grant program that donates funding to animals needing basic care, and all you have to do is get a free quote! Just a few minutes to help a dog or cat in need at no cost to you, who doesn’t want a company like that? They are consistently ranked among the top companies for customer service and they keep prices low for all budget sizes. They can boast high customer satisfaction ratings, and they were also the first pet insurance company to do away with paper forms and offer a fully accessible app to submit and track claims, change policy details, and sign up additional animals all in a one-stop shop. 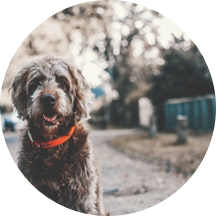 Once you get a policy with Healthy Paws, you’ll quickly see why they are continually ranked as one of the best pet insurance companies. They offer coverage for a wide array of ailments and treatments, and they typically get claims paid back within a one week turn-around. Their coverage includes illness, accidents, hospitalizations, hereditary conditions, chronic conditions, cancer, diagnostics, x-rays, ultrasounds, emergency care, and alternative treatments. Additionally, you should be aware that as your pet gets older, your insurance coverage reduces with Healthy Paws. When your pet reaches 6 and then again at 8 years old, your reimbursement percentage will reduce and your deductible will increase. Healthy Paws offers a great variety of plan options and reimbursement rates to help customers keep costs to affordable limits. The range of deductibles can be chosen from $100 - $500. Their reimbursement rates vary from of 70% - 90% depending on what pet owners opt for. They also don’t limit coverage limits per year, meaning that if your pet is unfortunate enough to get cancer there won’t an issue with the policy limits being exceeded; deductibles are on a yearly, rather than per incident, basis. This means that if you need to take your pet to the vet multiple times in the same policy period, then there is only one deductible to pay. 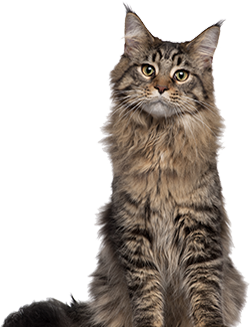 Note: Reimbursement rates go down and your deductible will go up when your pet reaches 6 and again when he reaches 8 years old. How much will I get back from Healthy Paws? Your dog ingests the plastic insides of a squeak toy and after bringing him to the vet, the cost of treatment comes to $1,340. With a $100 deductible and an 80% reimbursement rate, you will get back approximately $972. 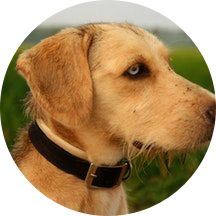 Your aging pup develops skin allergies that lead to a bad rash and fur falling out. The vet prescribes oral meds to stop the rash growth, cream to keep the rash from itching, and a cone so your pup can’t lick off all the cream. After all is said and done, the bill comes to $3,110. With a $200 deductible and 90% reimbursement rate, you will get back just over $2,599. Your cat wounds her paw after coming back from wandering the neighborhood. You take her to the vet and it is determined she needs minor surgery and pain medication afterward. The bill comes to $5,200, and after a $200 deductible and 70% reimbursement, you will get back $3,440. How much does Healthy Paws insurance cost? What do pet owners say about Healthy Paws? In terms of reviews, customers love how much Healthy Paws really cares for animals. The nonprofit side of the business is a big selling point for many people as they know they are not only getting great coverage for their animal, but helping other homeless animals in need. With an average review score of 4.8/5, see reviews from Healthy Paws customers below. If you love your pet, get Healthy Paws. 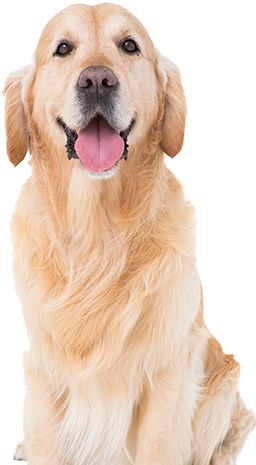 No other insurnce company is even worth looking at compared to healthy paws—if you want the best for your pet, then its healthy paws you want. First, the people working there are some of the nicest ive ever incountered in any bsiness, let alone in the insurance world. Secondly, they get your reimbursement sent when you actually nees it, no waiting. Third, what other company covers hereditary conditions?! Healthy paws does! Its one of the best parts of their plans and im still amazed they do that when so many other providers will tur you away if you’re pet has even a hint of some hereditary/pre-exiting condition. I love knowing my babies are taken care of, because they truly are my babies-my cats are my kids and now I can give them the best with healthy paws. I love that they give back! I was truly impressed when I was shopping for pet insurance and found out that healthy paws has so many different ways they help all animals, especially those that aren’t registered with plans. I love that they give donations with each quote to homeless animals and that they give scholarships to shelter animals in need of reatments. You know you’re really in good hands when a company helps those who aren’t “clients.” I will never chose another company. The lifetime discounts are AWESOME!! Healthy Paws is A-MAZE-ING! They have awesome coverage and offer lifetime discounts for different memberships or groups. I’m a Costco member and that enables me to get a 10% discount for my plans! You wont be disappointed you get it. Couldn’t be happier with Healthy Paws! I recently switched to Healthy Paws after cancelling my plan with another insurance I will not name, but who did NOT treat their customer right or provide the level of service they claimed during the signing up process. A good friend told me how happy she was with Healthy Paws so I signed up about 6 months ago and couldn’t be happier. Ive alreadya submitted a claim and it was a breeze! There was no fighting, no delays, and my dog I back to healthy as can be! I will sing their praises forever! When it comes to being a great company, Healthy Paws has covered all the bases: awesome customer service, affordable prices, quick turn-around, and charitable actions to benefit those in need. Another great aspect with Healthy Paws are the lifetime discounts they offer for a variety of member groups, such as military, AAA, Costco, and anyone who volunteers with animal shelters. That shows their true dedication to not only the animals they are insuring, but also that they appreciate customers and understand their need to save money whenever possible. We know you won’t be disappointed if you sign up with a Healthy Paws policy, and help some homeless animals in the process. Just be aware of that reducing coverage as your pet gets older.